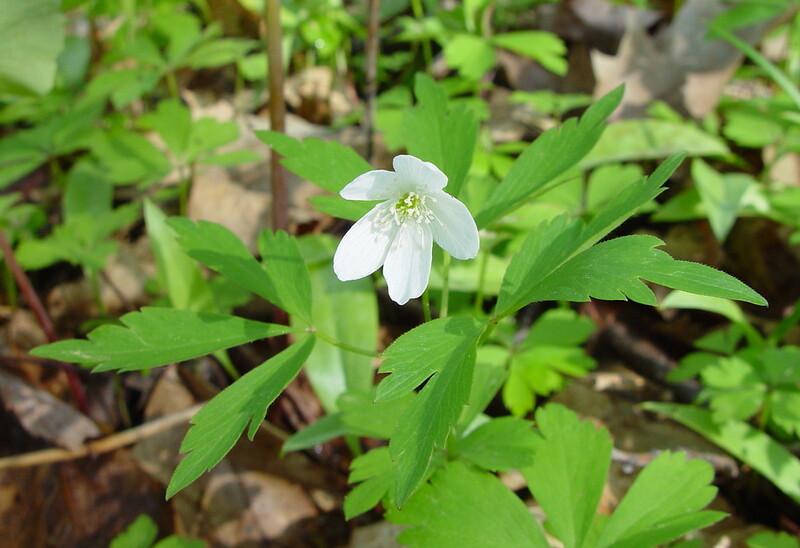 Wood windflower is one of the earliest blooming flowers in the rich, moist forests of New England. 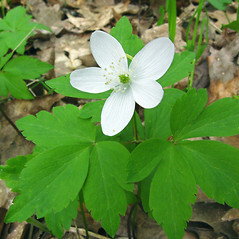 Look for showy white flowers poking above the dissected leaves, only 3 inches (7 cm) tall. 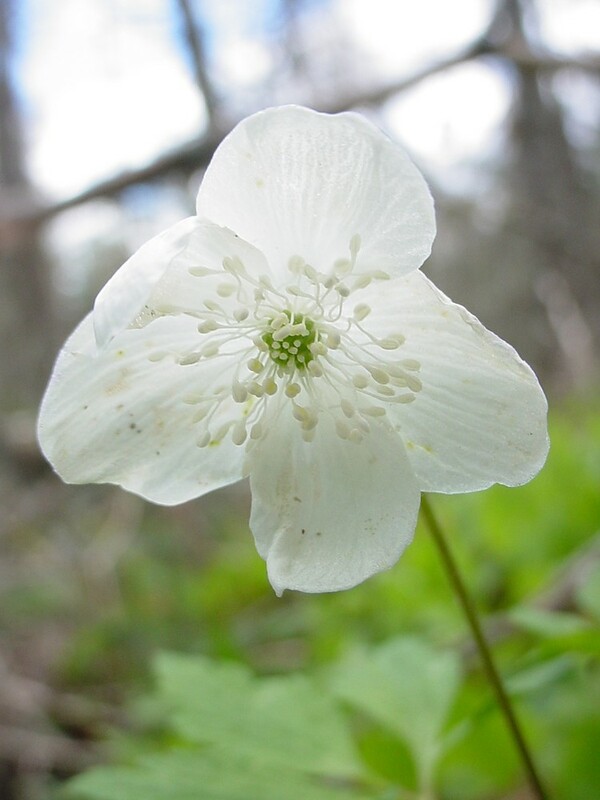 These offer food to pollinators searching for nectar early in the season. 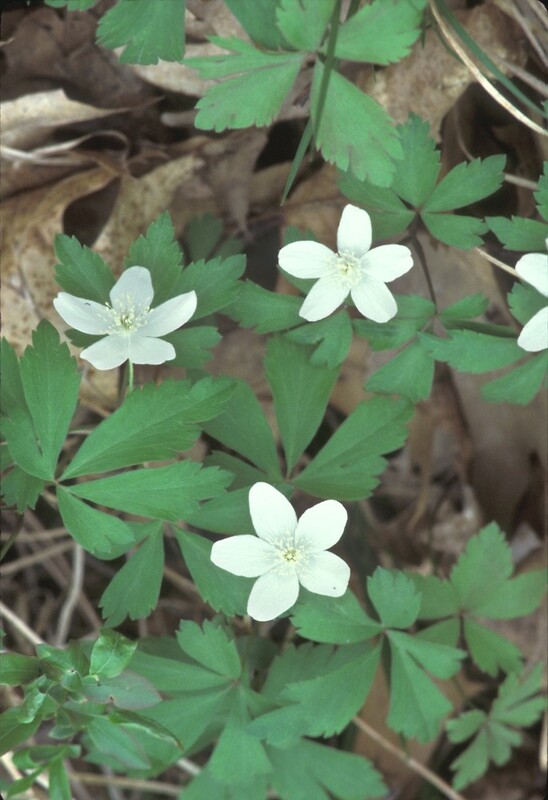 Like other anemones, wood windflower doesn't have true petals, but petal-like sepals. 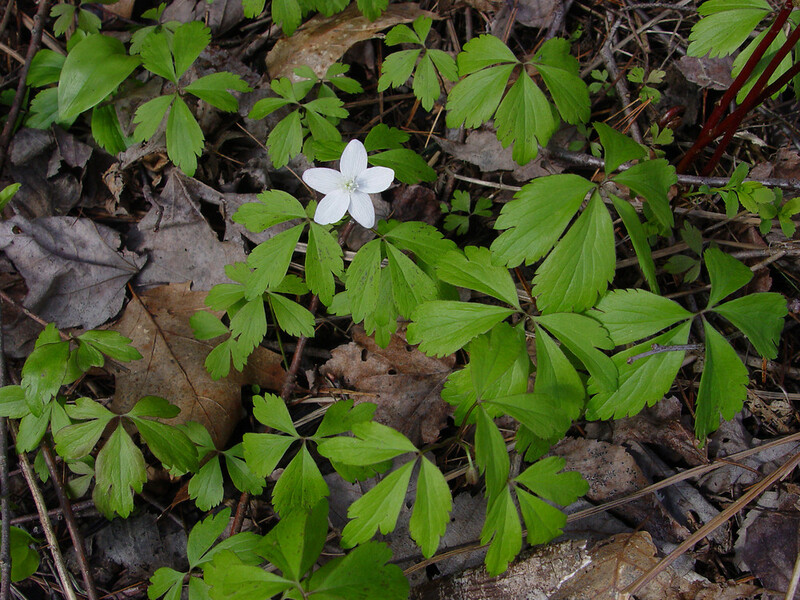 Wood windflower may have four to nine sepals, most commonly five. petaloid sepals numbering mostly 6 or 7, and rhizomes brown to black and 3-5 mm thick (vs. A. quinqefolia, with petaloid sepals number 5, and rhizomes white or brown to black and 1-3 mm thick). 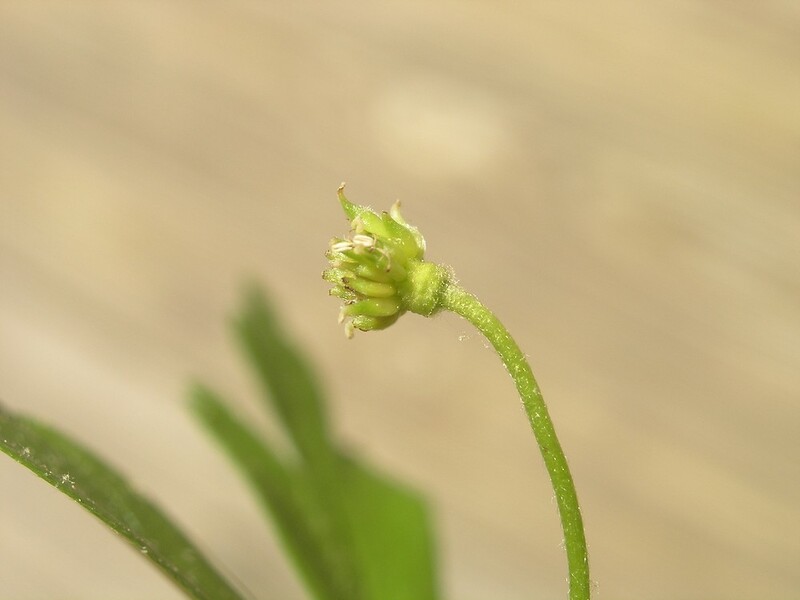 Anemone quinquefolia var. bifolia Farw. 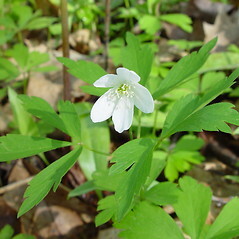 Anemone quinquefolia var. interior Fern. 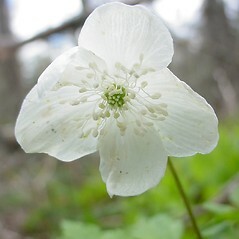 Our variety is Anemone quinquefolia L. var. 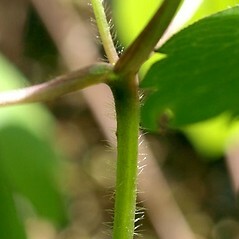 quinquefolia. 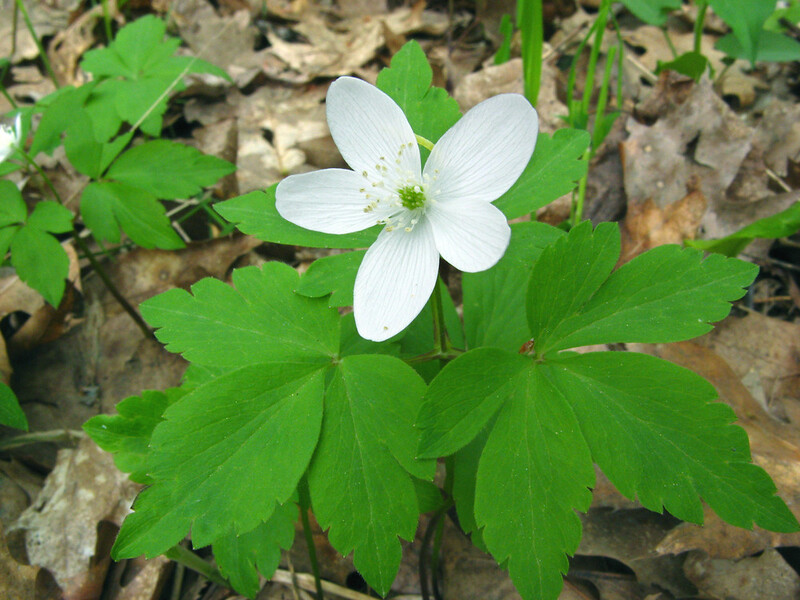 wood windflower. 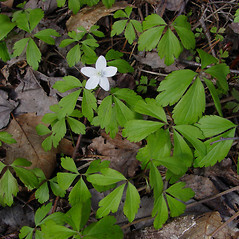 Anemone nemorosa L. var. 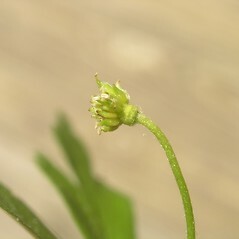 bifolia (Farw.) 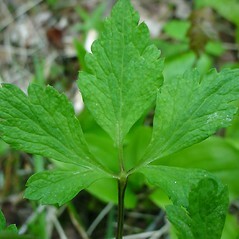 Boivin; A. quinquefolia L. var. 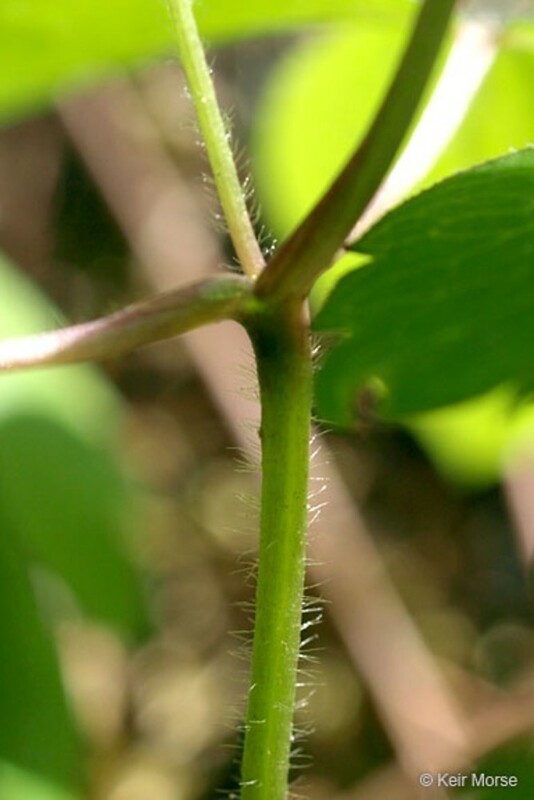 bifolia Farw. 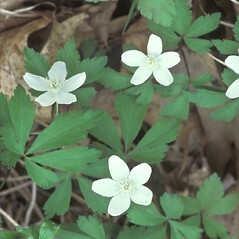 ; Anemone quinquefolia L. var. interior Fern. 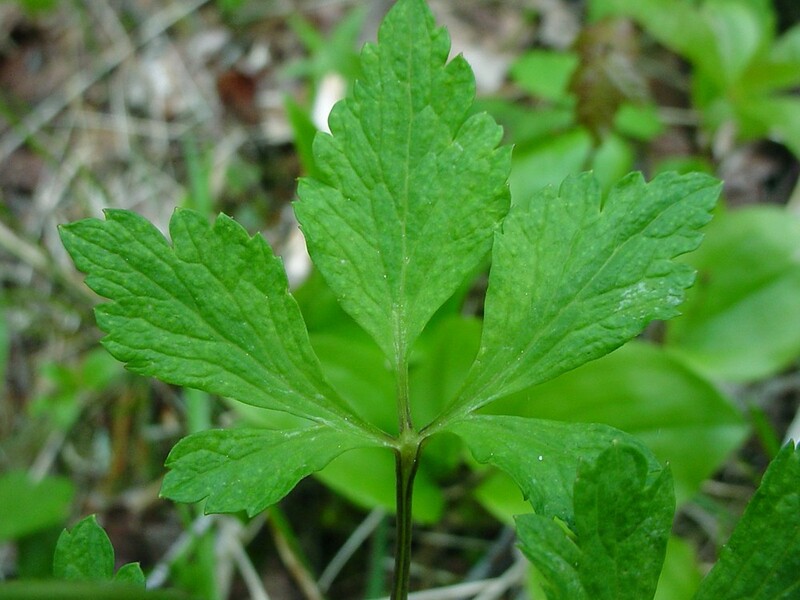 • CT, MA, ME, NH, RI, VT. Deciduous or mixed evergreen-deciduous forests, forest edges, riparian forests, river banks, fields.